A unique and imaginative hotel designed by a family of architects, Hapuku Lodge is situated just 12 kilometres north of the town of Kaikoura on the South Island of New Zealand. With an eclectic mix of ten suites, treehouses and even a luxury private apartment, this contemporary countryside hotel has been designed to complement the natural environment with native wood and copper shingle exteriors. The lodge’s extensive ongoing efforts to care for the local environment that it sits within make Hapuku Lodge a unique place to get close to nature. Situated on the East Coast of New Zealand’s South Island, and just a two and a half hour drive from Christchurch Airport, the small town of Kaikoura is rapidly transforming into one of the world’s premier eco-marine tourism destinations. Kaikoura literally translates to ‘eat crayfish’ from the native Maori language which is still the main contributor to the Peninsula’s economy, meaning you couldn’t be closer to an abundance of rich and diverse marine wildlife. The area surrounding Hapuku Lodge is perfect for travellers wanting to get in touch with nature whilst enjoying the tranquil breath-taking scenery of New Zealand. Choose from the four suites in the Main Lodge, the five Luxury Treehouses nestled in the canopy of a Manuka Grove, or the Olive House Suite which boasts a spa tub and rain fountain shower. All rooms are complete with the finest handcrafted furniture, most notable of which are the custom-made beds (which are arguably the most comfortable on the South Island). 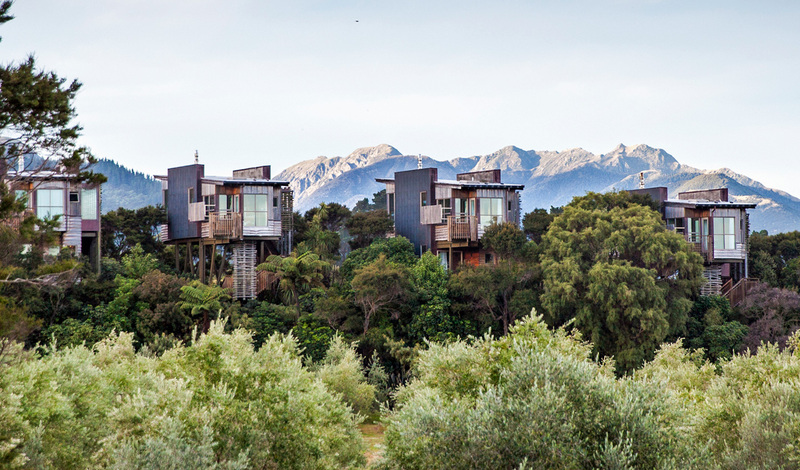 Whether you choose a suite or a treehouse, you are promised spectacular views of the Kaikoura mountain range and Pacific coastline. Hapuku Lodge is the perfect base for the vast range of activities located nearby, both on and off the water. Hire a bike from the hotel and set off to explore the local area on wheels or head out on a ‘marine safari’ to spot various species of whales, dusky dolphins and albatross. 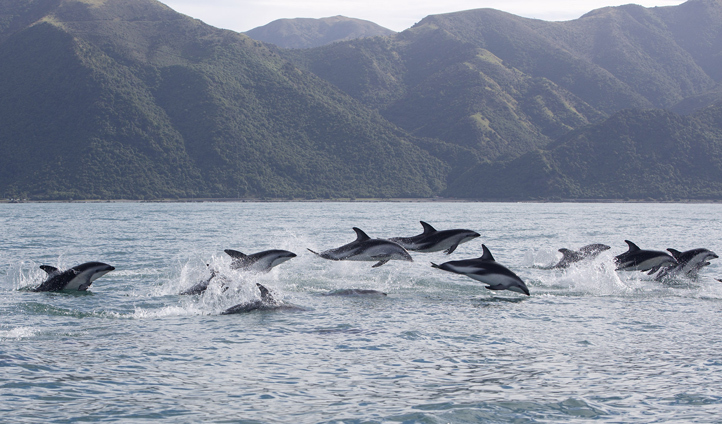 For the thrill-seekers; Mangamaunu Bay, a renowned surf spot, is less than a kilometre away. After long days of nothing but adventure, end them with a delicious local and organic meal back at the Lodge coupled with a speciality New Zealand wine.